The new iPad Mini’s high price has left questions of whether people will buy its’ cheaper competitors instead, and while I can’t answer those questions in the broadest sense yet of whether it will sell, I can relay one story of a consumer I spoke to. Yesterday I met a woman, in her early twenties, who was very techincally savvy. While you couldn’t classify her as a nerd, she had a nice PC laptop, an iPhone, and an impressive selection of apps and games. For over a year she’d been eagerly awaiting the new iPad Mini. Last week the iPad Mini was unveiled, and two days later this woman bought a Google Nexus 7 tablet… and she didn’t buy an iPad Mini. This perplexed me so I questioned her further. 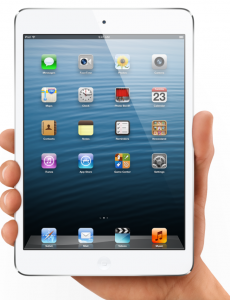 Her expectation for the iPad Mini was a device with a Retina Display at an affordable price. She was really disappointed that she couldn’t watch HD movies. She’s young. She was downloading games and movies onto her Nexus 7 as I spoke to her. She had expectations and they were not met. Without a Retina Display, she simply couldn’t justify to herself buying a device that costs $100 more.